By using Anjuinfotech, and signing up as a Client, you agree to be legally bound by these Terms and Conditions of Use (the "Terms and Conditions"), including those terms and conditions incorporated by reference. Please read these Terms and Conditions carefully. If you do not accept these Terms and Conditions, you may not use the Anjuinfotech service. Anjuinfotech may revise these Terms and Conditions at any time by updating this posting. You should visit this web page periodically to review the Terms and Conditions, because they are binding on you. 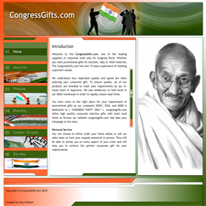 In these Terms and Conditions, all services provided by and related to Anjuinfotech, and all text, images, photographs, user interface, "look” and "feel”, data and other content included at Anjuinfotech.com from time to time (including, without limitation, the selection, coordination and arrangement of such content) are sometimes referred to as the "Web Site” and/or "Service." You acknowledge and agree that Anjuinfotech shall have the right (but not the obligation) in its sole discretion, to pre-screen, refuse or remove any project and/or user provided content that violates these Terms and Conditions or is otherwise objectionable, including, without limitation, projects or content that is illegal, obscene, indecent, defamatory, incites religious, racial or ethnic hatred, or violates the rights of others. Activity that is brought to our attention which appears in our sole judgment to violate the law will be brought to the attention of the proper authorities. You acknowledge, consent and agree that Anjuinfotech may access, preserve, and disclose your account information and content if required to do so by law or in a good faith belief that such access preservation or disclosure is reasonably necessary to: (a) comply with legal process; (b) enforce these Terms and Conditions; (c) respond to claims that any content violates the rights of third-parties; (d) respond to your requests for customer service; or (e) protect the rights, property, or personal safety of Anjuinfotech, its users and the public. Design and development solutions for individuals and small business.If you require a website design that won’t break the bank, then please contact us.We are the perfect partner to add to your team. The Anjuinfotech Service is an online offering where individuals or entities that have signed up with Anjuinfotech as clients (each, a "Client”) can post specific assignments and project descriptions, including illustrative samples or other media. Anjuinfotech will provide you, as the Client, the Service according to the Package you have chosen as detailed in section 1(e) below. Your Responses will be created iteratively through a drafting cycle of Construction, Revision and Responses, ultimately resulting in a final Response conforming to your specific project descriptions. You are solely responsible for preparing and posting detailed descriptions to the Web Site, including providing samples illustrating your ideas and any relevant deadlines. When Anjuinfotech provides you with a Response, you are responsible for reviewing the Response. If you fail to promptly inform Anjuinfotech, you will be deemed to have accepted the Response. If you notify Anjuinfotech, you shall then submit information regarding amendments or modification to be made to the initial Response. After you provide Anjuinfotech with the information, Anjuinfotech will provide you with a subsequent Response that conforms to the additional criteria you requested. Anjuinfotech is not responsible for the content of Responses developed to the extent that such Responses are prepared to conform to your ideas. Revision generally consists of 1-2 additional compositions that incorporate changes you requested. The purpose of the revision process is to create Responses that move your project forward in the specific direction you have determined. You may request significant changes in the first and second cycles, and the Responses generated might be quite different in nature from the original composition you selected. By the third revision request, your requests shall be modifications of the current composition only. Revision requests that depart from the then-current composition will be honored and completed in a timely manner. When you register for the Service, you must pay for the Service via credit card, or other payment method expressly authorized by Anjuinfotech. You will be charged for the Package you have selected. If you pay by credit card, you will be required to provide a valid credit card number and credit card billing address when registering as a Client. Anjuinfotech will email you a receipt for the transactions in which you are involved. Our fee policy for Clients may change and we may decide to impose additional fees on Clients at any time; however, such additional fees will not apply to projects submitted before Anjuinfotech implements any such change in fees. If you are not satisfied with the initial Responses provided by Anjuinfotech, you may request a refund by completing the Refund Request form, which will be provided to you upon request. Upon timely receipt of the completed form, Anjuinfotech will refund the total payment made by you, less a one hundred fifty dollar ($150.00) service and processing fee. If the client has decided to change the name of the company or what it does or simply decides to terminate our services with out giving sufficient notice (at least a week) or reason. If the client has decided to change the entire requirement project scope. If the client requests for a fresh set of concepts after the initial concepts. If the client is a design company or representing some body else (such as their client/s). If we do not hear back from you for more than 1 month (30 days). If you signed up at a discounted price. We are providing a service to our customers and not a tangible product. Once you sign up for our services, regardless of the package that has been purchased from our website, we do not offer full refunds. You agree to provide timely responses to any status notifications that Anjuinfotech sends to you. You shall have 30 days to respond to each Response sent to you. If after 30 days you have failed to respond, Anjuinfotech will assume that your project is complete and the project shall be deemed completed. At such time, Anjuinfotech will have no further obligation to you, and you will pay Anjuinfotech pursuant to the provisions of these Terms and Conditions. Notwithstanding the foregoing, Anjuinfotech reserves the right, in its sole discretion, to terminate your access to all or a portion of the Service, at any time, with or without notice. In the event of such termination, Anjuinfotech will determine, in its sole discretion, whether you are entitled to any refund. Permitted Uses : You may access and use the Service solely in accordance with these Terms and Conditions and any posted policies and procedures that appear on the Web Site. You may provide Information and obtain Responses only if you register as a Client. Any use of the Web Site is at your sole risk and responsibility. Subject to these Terms and Conditions, you may (i) display the Web Site on an Internet access device, and (ii) on an occasional, infrequent and ad hoc basis, and only in circumstances that constitute "fair use” under United States copyright law, print copies of insubstantial portions of the Web Site. Except as expressly permitted in these Terms and Conditions, you may not display or print the Web Site and in no event may you broadcast, circulate, distribute, download, perform, publish, rent, reproduce, sell, store, transmit or create decorative works from the Web Site. Additionally, you agree to comply with all applicable laws (including, without limitation, any applicable export controls) in connection with your use of the Service, and with such further limitations or rules as may be set forth on the Web Site. Without limiting the foregoing, you agree not to transmit, distribute, post, communicate or store information or other material on, to or through the Web Site that (i) is copyrighted, unless you are the copyright owner; (ii) reveals trade secrets, unless you own them; (iii) infringes on any other proprietary or intellectual property rights of others, on the privacy or publicity rights of others, or any statutory right; (iv) is obscene, defamatory, threatening, harassing, abusive, hateful, or embarrassing to any other person or entity; (v) is sexually-explicit; (vi) constitutes advertisements or solicitations of business, chain letters or pyramid schemes; or (vii) contains viruses, Trojan horses, worms, time bombs, or other computer programming routines or engines that are intended to damage, detrimentally interfere with, surreptitiously intercept or expropriate any system, data or information. 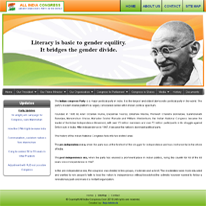 You further agree not to (a) use any incomplete, false or inaccurate biographical information or other information for purposes of registering as a Client; (b) delete or revise any material or other information of any other user of Anjuinfotech; (c) take any action that imposes an unreasonable or disproportionately large load on the Web Site’s infrastructure; (d) use any device, software or routine to interfere or attempt to interfere with the proper working of the Service or any activity being conducted on the Web Site; (e) use or attempt to use any engine, software, tool, agent or other device or mechanism (including, without limitation, browsers, spiders, robots, avatars or intelligent agents) to navigate or search the Web Site, other than the search engine and search agents available from Anjuinfotech on the Web Site and other than generally available third-party web browsers (e.g., Microsoft Internet Explorer and Netscape Navigator); or (f) attempt to decipher, decompile, disassemble or reverse-engineer any of the software comprising or in any way making up a part of the Web Site. You are prohibited from violating or attempting to violate the security of the Web Site, including, without limitation, (i) accessing data not intended for you or logging into a server or account that you are not authorized to access; (ii) attempting to probe, scan or test the vulnerability of a system or network or to breach security or authentication measures without proper authorization; (iii) attempting to interfere with service to any user, host or network, including, without limitation, by way of submitting a virus to, or overloading, "flooding”, "spamming”, "mailbombing” or "crashing”, the Web Site; (iv) sending unsolicited email to any user of the Web Site, including promotions and/or advertising of products or services; or (v) forging any TCP/IP packet header or any part of the header information in any email or posting generated in connection with the Service. Violations of system or network security may result in civil or criminal liability. Anjuinfotech will investigate occurrences that may involve such violations and may involve, and cooperate with, law enforcement authorities in prosecuting users who are involved in such violations. Anjuinfotech reserves the right to review postings on the Web Site, to remove any postings, and to terminate your ability to communicate with, or post to, the Web Site at any time without notice, in its sole discretion. Anjuinfotech will use commercially reasonable efforts not to disclose any information you communicate with, or post to, the Web Site, but reserves the right to disclose such information to the extent necessary to satisfy any applicable law, regulation, legal process or governmental request, and the right to edit, refuse to post or to remove any information or materials, in whole or in part. Anjuinfotech shall not be responsible for any delays or interruptions of, or errors or omissions contained in, the Web Site. Anjuinfotech reserves the right, but shall not be required, to correct any such delays, interruptions, errors or omissions. Although Anjuinfotech intends to use commercially reasonable efforts to make the Web Site and Service accessible, Anjuinfotech makes no representation, warranty or covenant that the Web Site or Service will be available at all times or at any time. Various circumstances may prevent or delay availability, including telecommunications and/or server problems. Anjuinfotech may at any time discontinue the Web Site in whole or in part, may change or eliminate any transmission method, and may change transmission speeds or other signal characteristics. Anjuinfotech shall not be responsible for any loss, cost, damage or liability that may result from any of the circumstances, actions or inactions described in this paragraph. When you register as a Client, you will create a user identity (your "User Identity”), which will be your identity for purposes of interacting with other users through the Web Site. Your User Identity will include certain personal information, such as, the industry in which you operate. However, your user name need not be your real name. During the registration process, the fields requesting information that will be made available to others as part of your User Identity are identified. 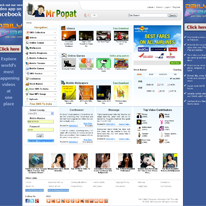 You are responsible for ensuring that you are comfortable making such information available to other Web Site users. You shall keep confidential, shall not disseminate, and shall use solely in accordance with these Terms and Conditions, your User Identity, registration identification and password for the Web Site. You shall immediately notify Anjuinfotech if you learn of or suspect: (i) any loss or theft of your User Identity, registration identification or password, or (ii) any unauthorized use of your registration identification or password or of the Web Site. In the event of such loss, theft, or unauthorized use, Anjuinfotech may impose on you, at Anjuinfotech’ sole discretion, additional security obligations. If any unauthorized person obtains access to the Web Site as a result of any act or omission by you, you shall use your best efforts to ascertain the source and manner of acquisition and shall fully and promptly inform Anjuinfotech. You shall otherwise cooperate and assist in any investigation relating to any such unauthorized access. (b) Information and Responses. Upon submission of your information or Response or any other information or media provided by you in connection with your use of the Service (collectively, the "Client Information”), Anjuinfotech and its agents shall have all rights and licenses necessary to use such Client Information for the purpose of obtaining Responses and for archival purposes. Each Member to whom your project is made available has the right to review and display the relevant information for purposes of preparing a Response. (c) Rights of Anjuinfotech. 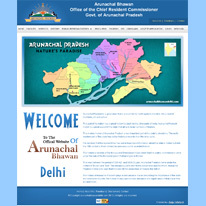 Upon your submission of Client Information to the Service, you grant Anjuinfotech and its agents a royalty-free, perpetual, irrevocable, sublicenseable, exclusive, worldwide right (including any moral rights) and license to use, reproduce, modify, adapt, publish, translate, create derivative works from, distribute, communicate to the public, perform and display (in whole or in part), and/or incorporate in other works, in any form, media, or technology now known or later developed, such Client Information, for the full term of any intellectual property rights that may exist in such Client Information to the extent necessary to provide you with the Service and Responses. 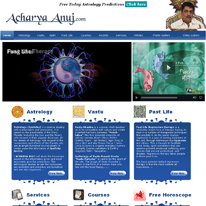 Anjuinfotech shall not be responsible for any use that is or is not made of the Web Site or the Service. Without limiting the foregoing, Anjuinfotech makes no representations, warranties or covenants regarding, and does not guarantee, the truthfulness, accuracy, or reliability of any information or other material that are communicated through, or posted to, the Service, whether by Members, Clients, Anjuinfotech or otherwise, nor does Anjuinfotech endorse any opinions expressed by any user of the Web Site, including any Member or Client. Without limiting the foregoing, Anjuinfotech makes no representations, warranties or covenants regarding the validity of the rights to Responses granted pursuant to these Terms and Conditions. You acknowledge that any reliance on information or other material, including, without limitation, any information related to a particular Package or your project, Response or User Identity, communicated through the Service, or posted to the Web Site, will be at your own risk. Without limiting the foregoing, you agree and acknowledge that you use each Response at your own risk and that you are responsible for taking any actions you deem reasonable to determine whether your use of a Response will infringe any statutory or third-party intellectual property, privacy or publicity rights. 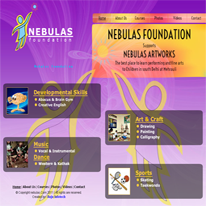 The Web Site may contain links to third-party web sites or other services (the "Linked Content”). The Linked Content is not under the control of Anjuinfotech and Anjuinfotech is not responsible for the Linked Content, including, without limitation, links contained in the Linked Content, or any changes or updates to Linked Content. Anjuinfotech is providing Linked Content to you only as a convenience, and the inclusion of such Linked Content is not an endorsement by Anjuinfotech of such Linked Content. If you decide to access any Linked Content, you do so at your own risk. THE SERVICE AND THE RESPONSES ARE PROVIDED "AS IS.” Anjuinfotech MAKES NO REPRESENTATION OR WARRANTY OF ANY KIND WHATSOEVER TO YOU OR ANY OTHER PERSON RELATING IN ANY WAY TO THE WEB SITE, INCLUDING ANY PART THEREOF, OR ANY WEB SITE OR OTHER CONTENT OR SERVICE THAT MAY BE ACCESSIBLE DIRECTLY OR INDIRECTLY THROUGH THE WEB SITE, INCLUDING ANY RESPONSE, USER IDENTITY OR LINKED CONTENT. Anjuinfotech DISCLAIMS, TO THE MAXIMUM EXTENT PERMITTED BY LAW, ANY AND ALL SUCH REPRESENTATIONS AND WARRANTIES, WHETHER EXPRESS OR IMPLIED. WITHOUT LIMITING THE GENERALITY OF THE FOREGOING, Anjuinfotech DISCLAIMS, TO THE MAXIMUM EXTENT PERMITTED BY LAW, ANY AND ALL (i) WARRANTIES OF MERCHANTABILITY OR FITNESS FOR A PARTICULAR PURPOSE; (ii) WARRANTIES AGAINST INFRINGEMENT OF ANY THIRD-PARTY INTELLECTUAL PROPERTY OR PROPRIETARY RIGHTS; (iii) WARRANTIES RELATING TO DELAYS, INTERRUPTIONS, ERRORS, OR OMISSIONS IN THE WEB SITE, OR ANY PART THEREOF; (iv) WARRANTIES RELATING TO THE TRANSMISSION OR DELIVERY OF THE WEB SITE; AND (v) WARRANTIES OTHERWISE RELATING TO PERFORMANCE, NON-PERFORMANCE, OR OTHER ACTS OR OMISSIONS BY Anjuinfotech OR ANY THIRD PARTY. FURTHERMORE, THERE IS NO WARRANTY THAT THE WEB SITE WILL MEET YOUR NEEDS OR REQUIREMENTS OR THE NEEDS OR REQUIREMENTS OF ANY OTHER PERSON. You hereby agree to defend, indemnify and hold harmless Anjuinfotech and its subsidiaries, affiliates, officers, agents, co-branders or other partners and employees from any action, claim, demand, or liability arising from or relating to your violation of any of these Terms and Conditions or use of the Web Site, and any expenses incurred in connection therewith, including, without limitation, reasonable attorneys’ fees. IN NO EVENT SHALL THE COMPANY OR ANY THIRD PARTY BE LIABLE TO YOU OR ANY OTHER PERSON FOR CONSEQUENTIAL, INCIDENTAL, SPECIAL, EXEMPLARY, PUNITIVE, OR INDIRECT DAMAGES ARISING UNDER OR IN ANY WAY RELATED TO THE WEB SITE, INCLUDING ANY PART THEREOF, OR THESE TERMS AND CONDITIONS OR ANY OTHER CONSENT (INCLUDING LOST PROFITS, LOSS OF BUSINESS OR DATA, BUSINESS INTERRUPTION, TRADING LOSSES, AND DAMAGES THAT RESULT FROM INACCURACY OF THE INFORMATION OR INCONVENIENCE, DELAY, OR LOSS OF THE USE OF THE SERVICE) EVEN IF Anjuinfotech OR ANY THIRD PARTY HAS BEEN ADVISED OF THE POSSIBILITY OF SUCH DAMAGES OR LOSSES. Anjuinfotech’ TOTAL LIABILITY FOR DAMAGES SHALL BE LIMITED TO THE TOTAL AMOUNT YOU PAID TO Anjuinfotech FOR YOUR PACKAGE UNDER THESE TERMS AND CONDITIONS. Additional Programming Pages starts at $300 per page depending on exactly what is on the page. Additional static pages starts at $200 per page depending on exactly what is on the page. No modification, amendment, or waiver of these Terms and Conditions or any part hereof shall be binding unless evidenced in writing and signed by Anjuinfotech. If any provision of these Terms and Conditions is held by a court of competent jurisdiction to be invalid, void, or unenforceable, then such provision shall be deemed null and void, but the remaining provisions shall continue in full force without being impaired or invalidated in any way. Once a project has been through front-end development it is handed over to a back-end developer. This is the stage where all the ‘behind the scenes’ work goes on – the front-end of the site is connected to programming functions and databases that will make the web site actually work. The section headings and other headings contained herein shall not affect the meaning or interpretation of these Terms and Conditions. These Terms and Conditions shall be governed by the substantive law of the State of California, without reference to any choice of law rules that would result in the application of the substantive law of any other jurisdiction. The parties agree that any disputes arising out of or relating to these Terms and Conditions shall be submitted to the federal courts having jurisdiction in Los Angeles, California, or state courts having jurisdiction in the area in which such federal courts have jurisdiction, and the parties consent to the personal jurisdiction of such courts with respect to such disputes. You may not assign or otherwise transfer (by operation of law or otherwise) any of your rights or duties hereunder unless Anjuinfotech agrees in writing after receiving prior written notice. Any attempted assignment or other transfer without the requisite consent shall be null and void ab initio. Anjuinfotech may assign or otherwise transfer any of its rights or the performance of any of its duties without your consent. The waiver by Anjuinfotech of a breach or a violation of any provision of these Terms and Conditions shall not operate as or be construed to be a waiver of any subsequent breach or violation of any provision of these Terms and Conditions. The parties and their respective personnel are and shall be independent contracts and neither party by virtue of these Terms and Conditions shall have any right, power or authority to act or create any obligation, express or implied, on behalf of the other party. If the performance of any part of these Terms and Conditions by either party is prevented, hindered, delayed or otherwise made impracticable by reason of any flood, riot, fire, judicial or governmental action, labor disputes, act of God or any other causes beyond the control of either party, that party shall be excused from such to the extent that such performance is prevented, hindered or delayed by such causes. The parties hereby warrant and represent that they have all necessary rights and authority to execute these Terms and Conditions and to fulfill their obligations hereunder. Coping With the Demands of the BusinessOur web development solutions are in tandem with the present market where a keen sense of business acumen is highly essential. Thus we are equipped to understand the business needs of each individual client to provide a profitable and affirmative result. Intensive TeamLike every other organization we have the same resources. However we have the knack to tap the optimum potential. This applies to our team of skilled professionals that constantly strive to improve their performance with an unrelenting desire to give the customers the value for their worth. Positive Attitude The constant evolution of modern technology tests our competence to keep pace with the latest developments and provide you with the most updated yet reliable solutions for your business needs. Our synergized efforts are concentrated on experimenting with new resources in an effort to generate a novel idea every time. 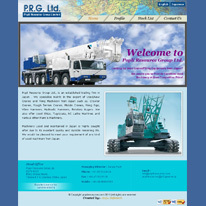 No Cost Cutting We apply the most unique approach for each client, irrespective of their budget. Here, we do not consider compromising on quality to make up for the lack of budget constraints a good practice. We believe we have the most redeemable packages for any budget with effective results. Tech-SavvyWe hire the best to cater to any kind of professional assistance in launching your enterprise and raising it to a high degree of visibility. From designing to building a custom website, from animations to e-commerce solutions we have a strong force to perpetuate impacting results. Our guaranteed SEO driven efforts will highlight your presence in the professional circuit.